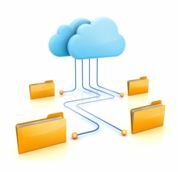 So many cloud-based file sharing solutions… where to start? There are many different types of file sharing applications ranging from FTP sites to Dropbox to full-fledged document management systems. Based on client feedback and our experience, we have developed a few items that you will want to consider when evaluating a file sharing solution. Security. What type of security does the file sharing solution offer? You want to be sure your data is secure. Redundant servers, encrypted data transmission, data backup, and 24/7 monitoring will keep your information secure and always available. Permissions – Manage who sees what. Application settings allowing you to control who sees certain information will reassure you that only the proper people see the right information. Controlling who sees what information is a very tricky and time consuming task when using FTP. The more robust applications will provide you the ability to set up users and control access to each of the folders with ease. Access from Anywhere – 24/7. Cloud-based solutions offer you access from anywhere at any time with an internet connection. There are some file sharing applications that allow for offline syncing as well. Tracking activity – Who, what, when? Ever wonder if you are being watched? When using a file sharing application, this may be something that you need to know…. So your answer may be yes. As these items are all important when considering file sharing applications, select the solution that best fits your file sharing requirements. Create a scorecard representing the items you require of your file sharing solutions across the top and the product listed in the far left column. This scorecard layout will allow you to compare the feature set of each solution. Here is a sample scorecard. We have found eShare offers a low cost, easy, and secure way to upload and share files with all project team members. While it is specific to the AEC industry, it has been utilized for file sharing across the web to upload, organize, and share data. 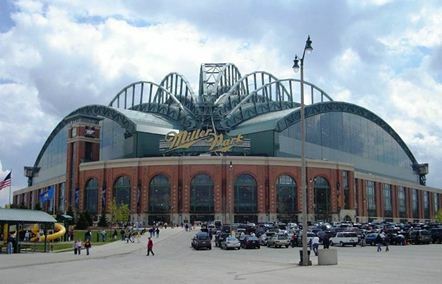 BPI Inc cordially invites you to join us at Miller Park for a stadium tour and a seminar geared toward helping you manage your project life cycle with technology from conception to closeout. Whether you are an Owner, Architect, Construction Manager, General Contractor, or Subcontractor, you can easily use BPI’s Technology Solutions to provide efficiencies in all stages of the project life cycle.